In good times or bad, "The Financial Physician" is the perfect prescription for everyone's financial future. And these times certainly aren't good! The economy is in free fall, and people everywhere are struggling to survive. Unemployment is at record peaks, business closures are epidemic, and foreclosures have gone through the roof. Lives are being shattered and millions of people are scared to death. They don't know what to do or where to turn. 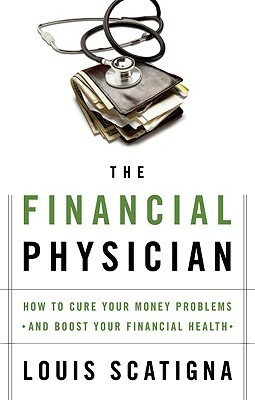 "The Financial Physician" examines the 25 most common causes of financial problems. By making analogies to physical health, it will explain, in clear, straightforward language, why each problem occurs, and gives readers practical, well-tested, no-nonsense advice. Each chapter will include a "treatment section" that tells readers what to do and what not to do in order to avoid and cure their money illnesses and enjoy vigorous financial health.